I have been busy with my Brother and Sister in Law coming down to Florida to visit so I am behind on everything! It was great to see them but now that they are back home it is time to get busy again. Seeing that St Patrick’s Day will be here soon I thought I would see what there was available in crochet and crafts for this Holiday. I ran across this Four Leaf Clover Throw and thought I have not seen anything like this before. I love the different color of greens that run through it. 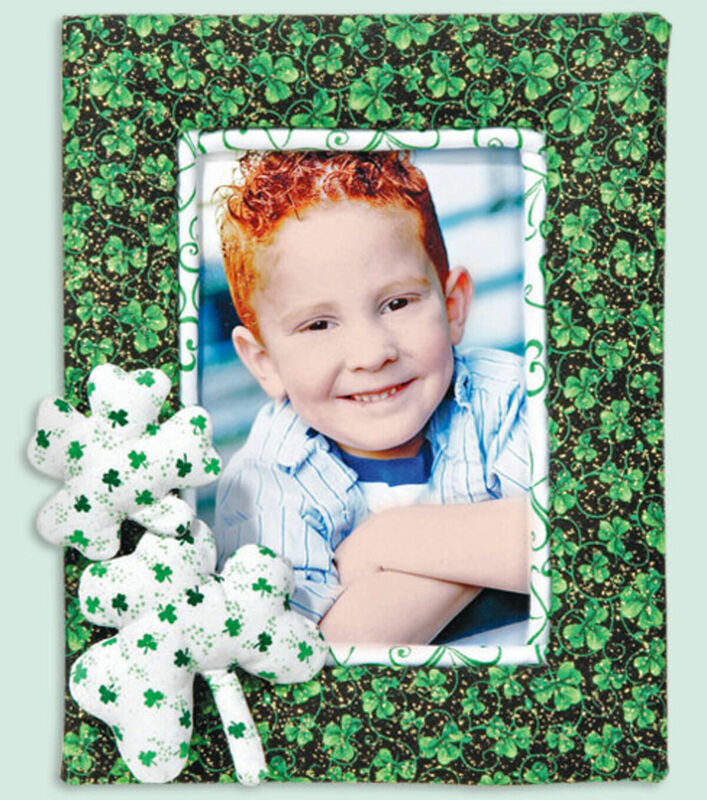 The directions and all the materials needed to accomplish this project are found here: Lucky Shamrock Frame at Joann.com. Are you one of the many who celebrate this holiday? I know I have some Irish in my blood and so I wondered where and when did this holiday come about. Below is some information about this holiday thanks to Wikipedia. Saint Patrick’s Day, or the Feast of Saint Patrick (Irish: Lá Fhéile Pádraig, “the Day of the Festival of Patrick”), is a cultural and religious celebration held on 17 March, the traditional death date of Saint Patrick (c. AD 385–461), the foremost patron saint of Ireland. Saint Patrick’s Day was made an official Christian feast day in the early 17th century and is observed by the Catholic Church, the Anglican Communion (especially the Church of Ireland), the Eastern Orthodox Church, and Lutheran Church. The day commemorates Saint Patrick and the arrival of Christianity in Ireland, as well as celebrating the heritage and culture of the Irish in general. Celebrations generally involve public parades and festivals, céilithe, and the wearing of green attire or shamrocks. Christians also attend church services and the Lenten restrictions on eating and drinking alcohol are lifted for the day, which has encouraged and propagated the holiday’s tradition of alcohol consumption. On St Patrick’s Day it is customary to wear shamrocks and/or green clothing or accessories (the “wearing of the green”). St Patrick is said to have used the shamrock, a three-leaved plant, to explain the Holy Trinity to thepagan Irish. Well this certainly explains why there is so much alcohol consumption on this day! I often wondered too where the custom of wearing green came from. Here is a cute Irish Hat to make and then to wear while celebrating! 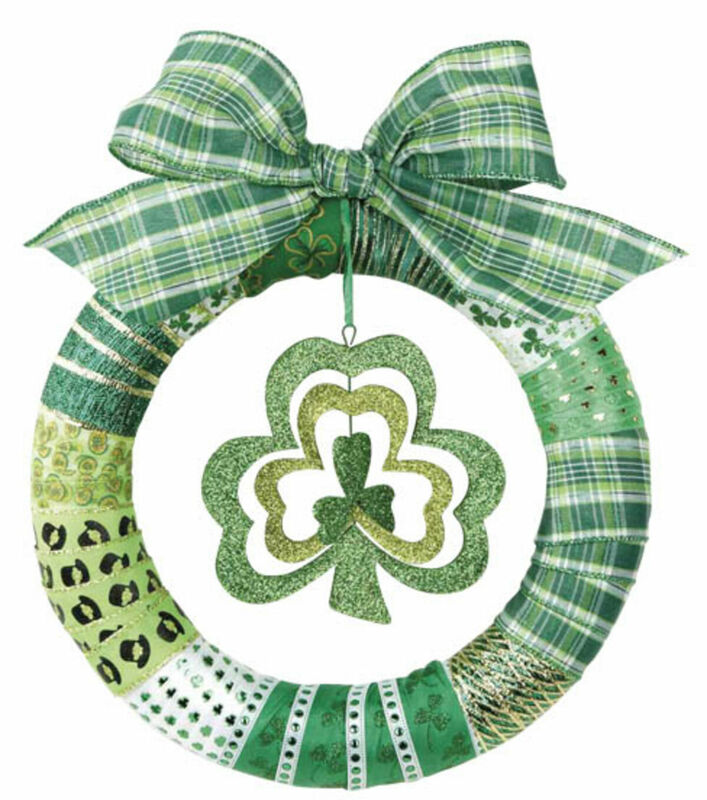 I love this wreath and the way they have incorporated all the different fabrics to convey the Irish Spirit! The directions and materials to create this wreath are found here: St. Patrick’s Day Wreath at Joann.com. I can say that I did learn some things about why we celebrate this day. Have a great time celebrating this Irish Holiday and I hope you gained some inspiration on some items that you can create for this day! Thank you as always for stopping by and entering my wacky creative world! 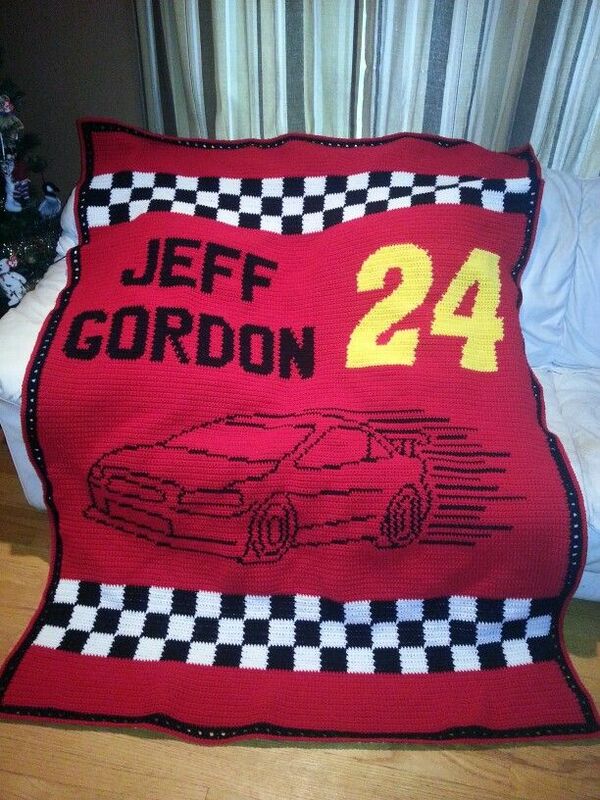 I love watching Nascar and I am a Fan of Jeff Gordon. My husband has a room full of items of Jeff Gordon so you know he is definitely a fan. I am not sure any more of what year I did this afghan as a surprise for my husband. I was able to surprise him which is not an easy feat to accomplish. I was able to crochet the majority of the afghan while he was around because I of course am always crocheting something for around the house. There is a part of the afghan that I did while he was at work and I had a day off of work. There were times that I took my mother-in-law to a doctors appointment and took it with me to work on. I was able to complete the afghan without him realizing what I was doing. It had also took me longer to accomplish than what I had expected. I wanted to have it completed by Christmas and then I wanted to have it done by his Birthday and that was in January. Needless to say I did not get it done by either of those dates. I was able to give it to him about a month later. He absolutely loved it. I guess the reason I am writing about this is because Jeff Gordon is going to be retiring after this year and we will miss seeing him on the race track! The back of this afghan is just the checkers. I had found a picture of Jeff in cross stitch and adapted it to the crochet. I made a rectangle in the afghan stitch so I was able to cross stitch his likeness on to the rectangle. The blanket was all made with the checker squares and sewn together. After I finished the rectangle I sewed it to the middle of the afghan. If you are interested or know someone who is a fan there are some patterns for afghans that I have found. I found this afghan that someone had done in single crochet but no pattern but thought it might help someone with inspiration. Thanks for stopping by and I am off to watch the Sprint Cup Race! !